Ignition shielding is still intact on the distributor and it does have the correct heavy duty shielded plug wires. 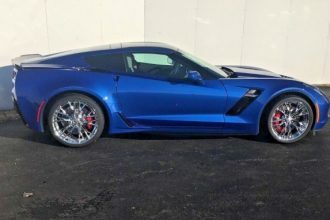 If you’ve been thinking about buying a classic Corvette now is the time to do it. You don’t want to be kicking yourself in a couple of years saying that you wish you had bought one back and they were this cheap. Go to the end of the road and that’s LA!” Whether you’re buying your first classic car or your 100th you’ll enjoy working with Vintage Planet. If you are selling a prized family heirloom or just thinning out your collection you will appreciate the aimiable respect and professionalism delivered by Vintage Planet in each and every one of their consignment situations. 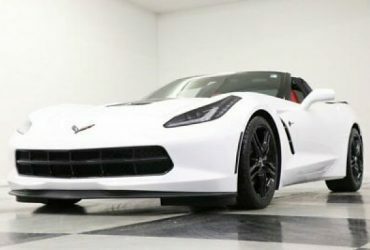 2017 Corvette 1LT Custom Dark Gray Calipers Arctic White 6.2L V8 2017 Chevrolet Corvette, Arctic White with 7216 Miles available now! 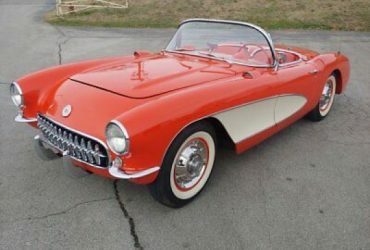 1957 Corvette — 1957 Corvette C1 restored! 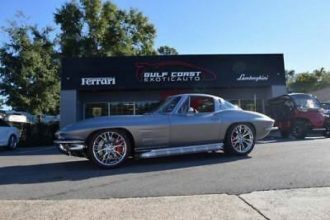 283cui with dual carbs and 4 speed!